What is a Prayer Cohort (and What isn’t)? Cohort vs Prayer Group: What’s the Difference? One goal of the prayer initiative for this year is to establish between five and ten prayer cohorts. But what makes a cohort different from any other prayer group? To begin with, it is important to realize that all prayer is important, but there are different spheres and areas of prayer. I have a couple of friends who are doctors. They are general practitioners who meet with their patients to diagnose and treat a whole range symptoms and illnesses. But there are times when these doctors will refer a patient to a specialist. The specialist has chosen to study and specialize in a specific area of medicine. A cardiac specialist focuses on the heart and is better equipped to diagnose and treat heart issues. Specialists are important, but they are only a part of the whole picture of health care. In a similar way, cohorts are one part of the larger work of prayer which the Lord is calling all believers to be a part of. The focus of these cohorts is to understand how God is moving through the work of the Spirit and at the same time recognize the ways Satan is seeking to block or hinder Kingdom advancement. As a result, the cohorts seek to engage, through high-level spiritual warfare, the strongholds which the enemy has, and is, constructing. These cohorts will be equipped to understand how enemy strongholds are formed and the strategies and tactics which can be used to dismantle these strongholds. But the cohorts are only a part of the work of prayer. The ongoing work of individual prayer coupled with corporate prayer groups is also needed. This balance in prayer can be seen in the current prayer work taking place at the Community of the Cross. Friday mornings ‘Prayer around the Table’ takes place in the log house. This is an opportunity for those in the neighbourhood of the COC to gather and pray for the needs of the ministry, the needs of the churches represented, and for what God wants to do in the area around Black Mountain. This group is not a cohort, but a prayer group. Nevertheless, their prayers are important and vital for the advancement of the Kingdom of God. On Wednesday mornings, the “Prayer for the World” group meets. This is a cohort. Their focus is praying for what God is doing around the world and specifically praying about some of the Islamic terrorist organizations which are bringing persecution to Christians. One such group is Boko Haram in Nigeria. Over the past few months the cohort has prayed for demonic cloaking to be pierced, for Satan’s Kingdom to be divided and for God’s truth and power to be made manifest. News stories have emerged which reported that the territory held by the group has been reduced and that there have been changes within leadership due to disagreements. These are small indications that the prayers of this cohort along with the intercession of others around the world are being effective in countering this stronghold. Are you Called to Join a Cohort? We are all called to the ongoing work of prayer, but not everyone is called to be a part of a cohort. In the same way that not all doctors are called to be heart specialists. But for those who feel that this is an area the Lord is calling them to, an online equipping course for cohorts will begin in March. For those who would like to hear more about cohorts and the upcoming online equipping, an introductory session will be offered online on Wednesday, March 8, at 3 different times: 7pm GMT, 7pm EST, and 7pm AKST (or 2pm EST, 7pm EST, and 11pm EST). What are cohorts and how are they different from other prayer groups? A full moderated online course on Cohort Basics will be offered beginning on March 14, with 6 sessions, ending April 18. Participation in the course includes watching video teaching online at your own time, downloading the teaching materials,?then meeting with others?over the internet and/or phone?each week ?for review of the teaching, discussion, discernment, and prayer.? Times for the course will be set based on students’ locations and time zones. If you would like to be part of the “Introduction to Cohorts” informational call or receive an application for the Cohorts Basics Course, please email Martin Boardman, our Prayer Mobilizer, at martinb@prmi.org. This is needed more and more in the United States and around the world after I saw the behavior of certain senators and representatives during President Trump’s first speech to the congress, the nation and the world. I believe that we must attack the enemy, not with physical weapons but with the weapons that the Apostle Paul talks about in his letters to the church of Corinth. The days of God is good God is great give me give me give me prayers are over. The enemy is counting on us to be dead in Christ and not to be prayer warriors in the Army of God. It is time to take authority in the name of our Lord and Savior, King Jesus, our God. I have been waiting for this. Amen! I saw the same thing and feel the same way. 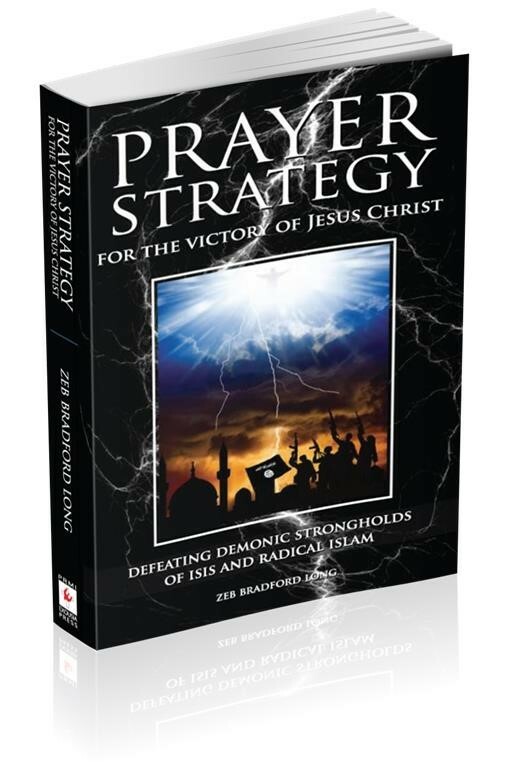 I am working very hard to put together the next book which will mobilize and deploy intercessors in the work of praying down strongholds and praying for a great revival! A great out pouring of he Holy Spirit. I really hope that many of you can join in this great equipping that Martin and Mary Ellen are putting together. The purpose will be to grow prayer cohorts who can engage this urgent work of intercessory prayer. Would like to take the Cohort course but will need to wait till the time is right. Finishing up a big project now. Meanwhile, amongst those I pray for are the President, his admin, all people in the U.S., Islam and the nations. Doing the Elijah List fast and prayer now requested by Lou Engle. Thank you for your faithfulness serving Christ in the Kingdom! Amen Brad. I have of late been impressed to pray for President Trump for protection and for recognition as a powerful world leader and then for him to begin to exert his position to influence countries like Turkey to resist this present creeping darkness. 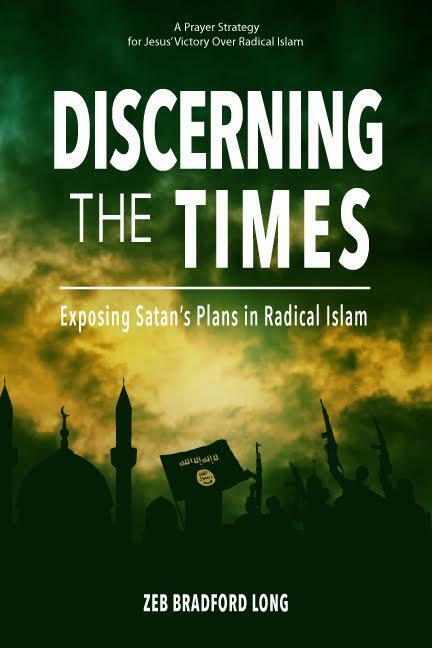 Mt spiritual father,, Solomon Adeymi, from Nigeria was once a Muslim and was well aware of the evil of murderous Islamic extremism even while most of us here in the US (especially the “church”) have been blinded to the nature, purpose and work of the enemy. America, especially those who name the name of Christ – WAKE UP! Brad, I applaud your obedience, courage and initiative in calling us to enter the battle through effective prayer. Thanks andmany blessings!